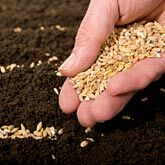 Masterclasses and Workshops are held regularly to ensure that the latest information on plant breeding is made available. Please contact PGB via direct email for any enquires related to these courses or other short course information. Graduate students, professionals and senior technical staff, involved in experiments on plants, researchers and plant breeders interested in advanced experimental designs and use of modern statistical methodology for the analyses of field/glasshouse experiments. A basic background in statistics and basic use of the statistical package R is assumed. The course presented the main steps in designing an experiment and provided an understanding of the concepts underlying experimental design. The principles of experimental design were discussed, including – treatment structure, replication, randomization, local control of variability (blocking and other techniques for the reduction of experimental error). Initially, basic designs were be introduced, completely randomized design (CRD) and randomized complete block design (RCBD) for one-directional blocking, and a Latin square design for two directional (double) blocking. Next, more advanced designs, such as split-plot designs, incomplete-block designs and row-column designs were discussed. Partially replicated p designs were presented, followed by p/q designs, typical for 2 stage analyses, involving field/glasshouse and laboratory data. Prior to the introduction of linear mixed models, the concept of random and fixed effects were also discussed. A spatial linear mixed model (LMM) used in the analysis of a single environment (trial) will be presented. Modelling of GxE interaction was explained and illustrated on data from a Multi-environment (MET) plant breeding trial. Analysis of categorical data was discussed and Generalized Linear Models (GLMs) introduced. Generate designs – CRD, RCBD, Latin square, spatially-adjusted incomplete block-designs/row-column designs and p designs. Understand the presence and modelling of the spatial variation. Learn how to use LMM and GLM in the analysis of data from agricultural/biological experiments. Theoretical and practical aspects was presented in the form of lectures. Supervised practicals and provided R scripts assisted in generating some of the discussed designs. These practicals allowed attendants to become familiar with the details of the actions required to perform different type of statistical analyses using some R packages. The participants also learnt how to interpret the analyses output. Across the globe drought is one of the biggest threats facing agriculture today, with devastating and far reaching effects on entire landscapes and regions. The Food and Agricultural Organization of the United Nations (FAO) ranks drought as the single most common cause of severe food shortages in developing countries. In Australia drought can cost the Australian grain producers in excess of AU$1 billion per year. Consequently Australian researchers and growers are at the cutting edge of coping with agricultural drought. Climate change is predicted to increase the frequency of droughts. InterDrought is a major international platform to debate key issues and strategies relevant to increase the yield and stability of crops under drought conditions by genetic and crop management approaches. Perth, Western Australia hosted InterDrought-IV from 2 to 6 September 2013 (see http://www.interdrought4.com/). The mission of InterDrought is to explore the possibilities of scientific and technological applications to crop improvement and management under drought-prone farming by linking progress made at the molecular level to that at the whole plant and crop levels in the field. With the world’s top drought researchers converging on Perth in September 2013, we leveraged on their presence to run a Master Class on Adaptation to Drought in the week prior to the Conference. There were 19 participants in the Master Class - all experienced and practicing drought scientists from a wide range of different developing countries: Argentina, Azerbaijan, Bangladesh, Burkina Faso, Kenya, India (2), Iraq, Pakistan (3), Sudan, and Tanzania - together with six Australians. Twenty-one percent of participants were female. Department of Agriculture and Food WA (DAFWA). FAO shared the cost of airfares and sponsored the MC participants to also attend InterDrought. Four participants were fully or partially self-funded. InterDrought is a major international platform to present and debate key issues and strategies relevant for increasing the yield and stability of crops under drought conditions by genetic and crop management approaches. Perth, Western Australia has been selected to host InterDrought-IV from 2 to 6 September 2013 (see http//:www.interdrought4.com). Great advances have been made in recent years in understanding the molecular basis of plant responses and plant tolerance to drought stress. Hundreds of drought responsive genes have been identified and the function of some of these has been resolved at the cellular level. However, there is a huge gap between the molecular level science and the interpretation and application of this knowledge at the whole plant level in the field. There is an increasing demand in both public and private research sectors for crosstalk between disciplines involved with the molecular science and those involved with whole plant problems, aimed at solving issues at the farm and field level in order to advance practical solutions to drought prone farming. InterDrought-IV offers a unique and timely platform for this purpose. Thus, the mission of InterDrought-IV is to explore the possibilities of scientific and technological applications to crop improvement and crop management under drought-prone farming by linking progress made at the molecular level to that at the whole plant and crop levels in the field. This conference will provide recommendations on the most effective approaches to achieve better crop productivity under drought conditions as well as the research needed to move forward in this direction. The world’s top drought researchers will converge on Perth in September 2013. Because the occurrence and impact of the drought is highly dependent on climate and soil variables in specific environments, field-based research in target environments has been promoted in Australia. As a result of recent investments, state-of-the-art glasshouse and field-based phenotyping facilities have recently being completed in Adelaide and Canberra. Similar field Managed Environment Facilities have just been built by GRDC in collaboration in with DAFWA at Merredin in WA, I&INSW at Yanco in NSW and the University of Sydney at Narrabri in N NSW. These 3 facilities are now well established and are now producing high quality research outputs. Through the conference many colleagues around the globe will have an opportunity to visit these facilities in Australia. Researchers from the developing world will aspire to attend InterDrought-IV to learn about the latest drought research advances. However many scientists still need exposure to the latest techniques for practical selection for drought tolerance and in drought management. One of the major impacts of the high throughput DNA sequencing capabilities becoming available at a relatively low cost is that identification of single nucleotide polymorphisms (SNPs) can now be identified in very high numbers. These SNPs provide sequence-based markers for integration into molecular genetic maps and as genomes are sequenced these molecular markers serve to anchor the genome sequences to genetic maps. The ICIM software is new generation mapping software that can handle the range of challenges associated with having thousands of molecular markers instead of hundreds. The association of markers in a high density marker map with phenotypes assessed in the mapping population is carried out in ICIM using the latest statistical approaches in QTL analysis and visualization of outputs. The ICIM software also has the facility for integrating different molecular marker maps based on the presence of shared markers. Plant breeders and geneticists from the industry and public sector and grower groups, representatives of food processing industry as well as other industries that use plants and plant products as raw materials. Participants are expected to have a prior understanding of plant breeding. The short course aims to present the steps in developing new traits in plants as well as new crops to provide value for the farmer and industry. Crops that have been viewed as commodities may be modified through plant breeder’s efforts to fit the needs of different user groups including food and non-food industries. This in turn requires an effort on the part of the plant breeder to gather information, network, search the germplasm, study traits and determine their genetic basis and develop a breeding program leading to new value-added traits and crops. During the course, the concept of value-added trait breeding will be presented and illustrated with examples from various crops. Methods to breed such crops will be discussed based on the genetic nature of the traits. Communication and networking with end-users, how to identify customers, sponsors and funding agencies for a new breeding program will be explored and discussed as well. The workshop was by the International Centre for Plant Breeding Education and Research (ICPBER) and held in the Michael Chaney Case Study Room G42, Business School – Building 441 – South End, Crawley campus, The University of Western Australia on Tuesday 11th December & Wednesday 12th December 2012. The course aims to present the main steps in designing an experiment and to provide an understanding of the concepts underlying experimental design. The principles of experimental design will be discussed, including – treatment structure; replication, randomization, local control of variability (blocking and other techniques for the reduction of experimental error). Initially, basic designs will be introduced, completely randomized design (CRD) and randomized complete block design (RCBD) for one-directional blocking, and a Latin square design for two directional (double) blocking. Next, more advanced designs, such as split-plot designs, incomplete-block designs and row-column designs will be discussed. Partially replicated p designs used for early generation plant breeding trials will be presented, followed by p/q designs, typical for 2 stage analyses, involving field and laboratory data. Prior to the introduction of linear mixed models, the concept of random and fixed effects will be discussed. A spatial linear mixed model used in the analysis of a single environment (trial) will be presented. And finally, Factor-analytic models (FA) and in particular modeling of GxE will be explained and illustrated on data from a MET plant breeding trial. Generate designs – CRD, RCBD, Latin square, spatially adjusted incomplete block-designs/row-column designs and p designs. Understand the presence and modeling of the spatial variation. Analyse a single field/glasshouse trial using spatial linear mixed model techniques. Analyse multi-environment trial (MET) including modelling the GxE interaction. Genetics Laboratory in the School of Plant Biology with tissue culture operations of projects conducted by Canola Breeders CLIMA (leaders Dr Janine Croser, Ms Anouska Cousin and Ms Helen Bowers). Centre for Microscopy, Characterisation and Analysis at QEII Medical Centre - flow cytometry facility (leader Assist Prof Kathy Heel). Microspore culture and flow cytometry are important techniques in plant breeding in both developing and developed countries, and the production of doubled haploid plants can increase the speed of breeding and improve genetic progress. Researchers in the public and private sector in Indonesia, India and Bangladesh are keen to adopt these plant breeding techniques, and could upgrade their facilities to apply the techniques. What they lack is hands-on training in microspore culture and flow cytometry. Indonesian researchers in universities and breeding companies have expressed a strong interest in learning microspore culture and flow cytometry techniques at UWA, where the system is highly developed in canola and legumes. Training at UWA will help to motivate the researchers and their employers to develop similar facilities in the home countries. The goal of the course is to develop practical skills and learn the theory for successful microspore culture and doubled haploidy, and to develop skills in flow cytometry so that participants may lobby for (and ultimately operate) such equipment in key national laboratories in Indonesia. Theory of sterile culture technique. Theory of flow cytometry for assessment of DNA content in plants, including software for analysis of results. Sterile culture technique in practice. Isolation of Brassica microspores into sterile media. Transfer of embryos to solid media. Transfer of shoots to rooting media. Transfer of plantlets to soil. Assessment of DNA content in young microspore-derived plantlets by flow cytometry, and analysis of results with relevant software.